The two emergency landings involved a technical fault and a medical emergency, according to the airport. 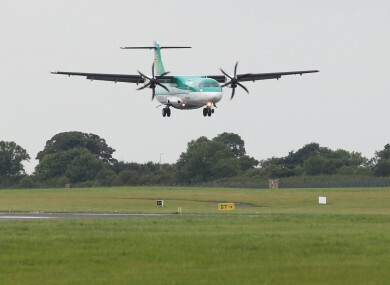 SHANNON AIRPORT HAS confirmed that two planes diverted to the airport in less than 12 hours. The first, an Aer Lingus A320 EI 45D routing from Faro to Dublin, diverted to Shannon with a technical issue and landed safely at 8.30pm yesterday. A second flight, flying from the Dominican Republic to Germany, diverted to Shannon having declared a medical situation. The Air Berlin A330 was on its way to Dusseldorf from Punta Cana. The plane landed safely at 04.45 am this morning and was met by HSE ambulance services. A passenger was transferred by ambulance to University Hospital Limerick. Email “Two emergency landings in 12 hours at Shannon Airport”. Feedback on “Two emergency landings in 12 hours at Shannon Airport”.